Meet people, get fit and have fun learning the original swing dances of the 1920's, 30's and 40's! drop into one of our weekly beginners classes! No experience or partner needed and no need to book. Just show up on the night! Want to learn lindy hop or balboa? Find a class near you. 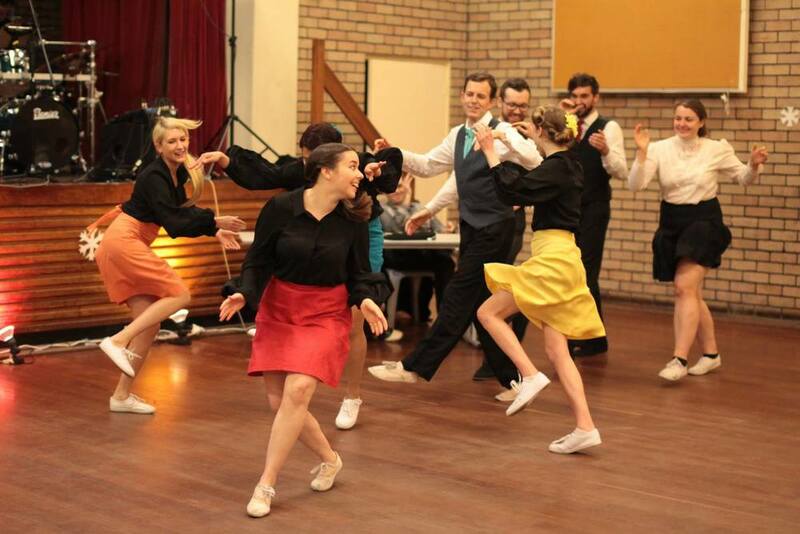 dance the night away at perth's best swing social nights. want a wedding dance or floorshow with a difference? Congratulations Fiona! She managed to take out 2nd place in the Balboa competition, social dancing division, at the national event, All the Cats! We are so lucky to have her on our teaching team. Perth Air-Step Exchange! Details and registration is now live here if you want to learn more about this unique event! The Kiwi Lindy Exchange. We have sold out of bus passes but there is a wait list for this amazing event. Click here for the wait list, or here for more information. Have you seen our Resources page? We have a tone of information, videos, music, everything you could need if you want to practice in the comfort of your own home. We teach a range of dance styles, including Lindy Hop, Balboa, Shag, Blues and Charleston. Learn the history behind this amazing dance here. Want to practice the skills you've learnt in class at home? Head to our media page to watch our videos. Add fun and excitement to your next event or function with some Lindy Hop entertainment! Click here for details! We strive to make our community a safe and respectful place for everyone regardless of gender, nationality, ability, sexual orientation, age etc. If you would like more information feel free to read over our Code of Conduct or have a chat with anyone on our team. We email a short newsletter on the first Tuesday of every month. We include info about upcoming events and a secret video that only subscribers get to see.